1. Browse our wedding invitation designs and note the name of the design that you like. 2. 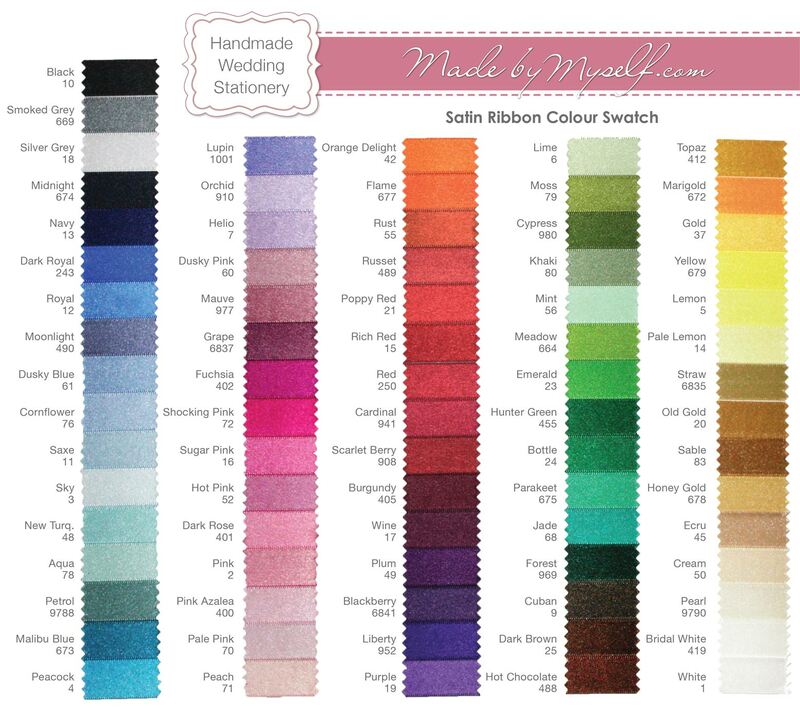 If your chosen design includes ribbon, view our ribbon swatch to choose your colour. 3. Click on the image below to order a sample and complete your details. Please allow 4 working days for your sample to be completed. We will make your sample in your required colours using the details that you provide and so your sample is personalised to you and you can really get a feel for how the finished design will look. Some of our designs cannot be created as personalised samples such as the travel concertina design. 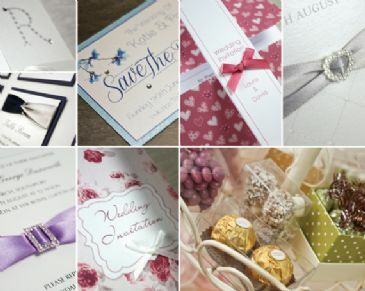 All wedding invitation samples are charged at £3.00 each with £1.20 P+P. You are welcome to order more than one sample if you'd like to see a design in different colours or want to see a couple of designs in your chosen colour.